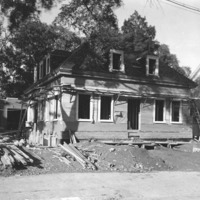 Description: Picture of the new Swampscott Police Station under construction in 1939. 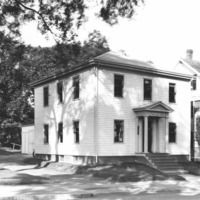 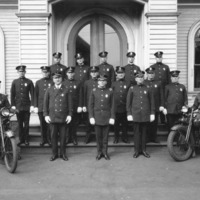 Description: Picture of the Swampscott Police Station as it appeared in 1921. 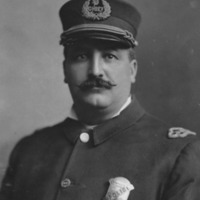 Description: Portrait of Swampscott Police Chief Ulysses M. Corson who served as chief from 1907-1922. 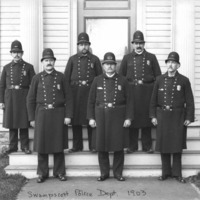 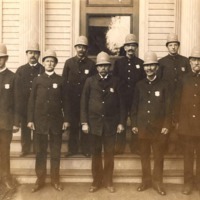 Description: Portrait of members of the Swampscott Police Department in 1910. 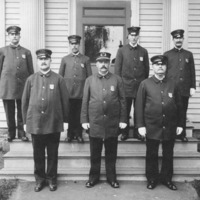 Description: Portrait of six members of the Swampscott Police Department standing in front of the police station. 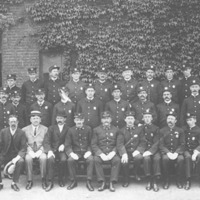 Description: Members of the Swampscott Fire Department pose in front of the Phillips Beach Engine House. 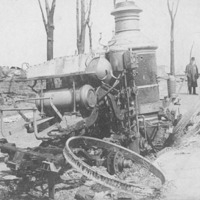 Description: A man stands next to Swampscott Fire Department steamer that destroyed in the Salem Fire of 1914. 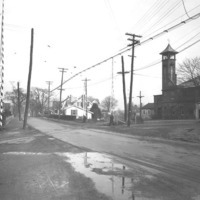 In the background the devestated landscape is visible. 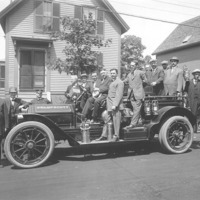 Description: Members of the Swampscott Fire Department and town officials pose with the department's first fire truck. 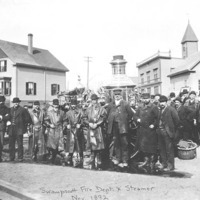 Description: View of the Swampscott Fire Department and the department's steamer. 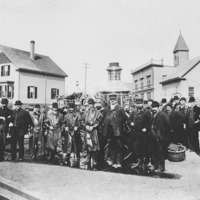 Description: View of members of the Swampscott Fire Department and the department's steamer.